MCB Staffing Services is located in New York City. Our recruiting specialists provide recruiting, temporary staffing, direct placement, consulting, payroll, and outsourcing solutions. 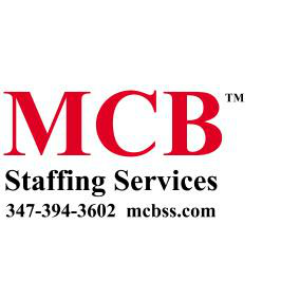 Call MCB Staffing Services at 1-347-394-3602 today or visit www.mcbss.com now.